Classically styled furniture made in ash and walnut solid woods and selected veneers, this collection includes occasional pieces for use around the home, along with three different sized sideboards and dining tables with cane back chairs and dining carvers. It is called the Spire range and made by Frank Hudson furniture and the range has beautifully inlaid tops and mostly stands on sculptured legs with a bulbous feature at the higher end. Traditional handles on the drawers and cupboards hark back to an era of fine qualities and perfection, and have appeal to all with an eye for quality. We offer free delivery across mainland England & Wales, mostly between 4-6 weeks, but if you need it quicker please tell us and we'll see what we can do. This is the Frank Hudson Furniture Spire 2 Door Sideboard and is made of solid Ash and Walnut with a.. 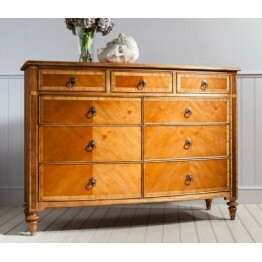 This is the Frank Hudson Furniture Spire 9 Drawer Chest. It is made of solid Ash and Walnut with add.. 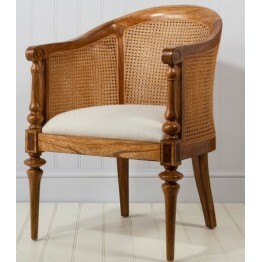 This is the Frank Hudson Furniture Spire Armchair or Carver chair which can be used with the dining .. This is the Frank Hudson Furniture Spire bedroom chair. Made of solid Ash and Walnut with additional.. 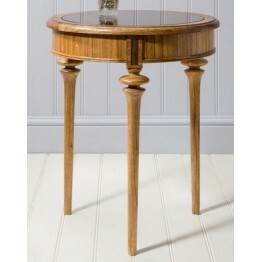 This is the Frank Hudson Furniture Spire Circular Table. Made of solid Ash and Walnut with additiona.. 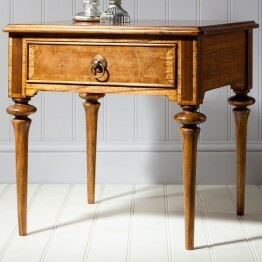 This is the Frank Hudson Furniture Spire range Demi Lune hall table or as we refer to it the half mo.. This is the Frank Hudson Furniture Spire Dining Chair or Side Chair which can be used with the dinin..
A Drum Table is not easy to find in modern day furniture collections but this one here is a wonderfu.. This is the Frank Hudson Furniture Spire range Large Extending Dining Table. Made of solid Ash and W.. This is the Frank Hudson Furniture Spire Large Sideboard and is made of solid Ash and Walnut with ad.. This is the Frank Hudson Furniture Spire Mini Sideboard and is made of solid Ash and Walnut with add.. This is the Frank Hudson Furniture Spire Nest of Tables. Made of solid Ash and Walnut with additiona.. This is the Frank Hudson Furniture Spire Oval Coffee Table. Made of solid Ash and Walnut with additi.. This is the Frank Hudson Furniture Spire range Oval Extending Dining Table. Made of solid Ash and Wa.. This is the Frank Hudson Furniture Spire Square Lamp Table with a drawer. Made of solid Ash and Waln..